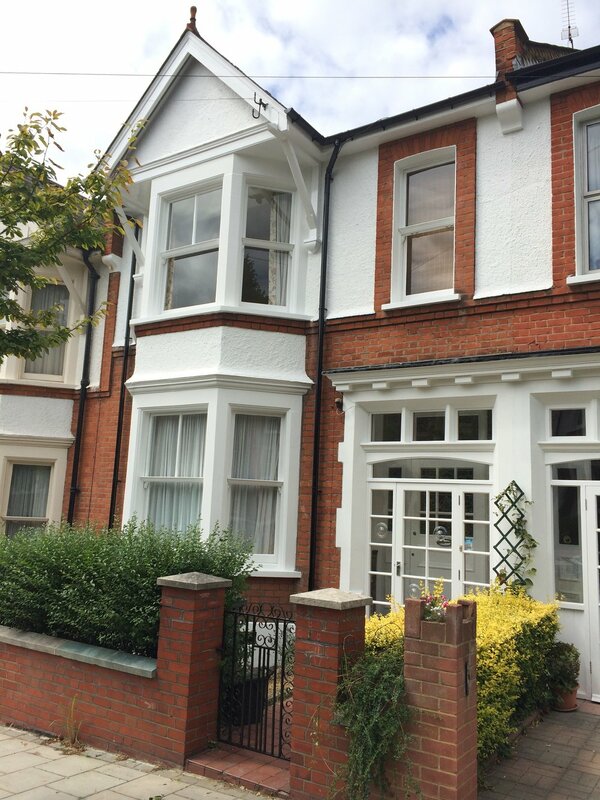 Marmalade Badger undertakes exterior decorating and restoration work of all varieties in South London and all surrounding areas. We have many years experience in exterior decorating, with countless of happy clients behind us. 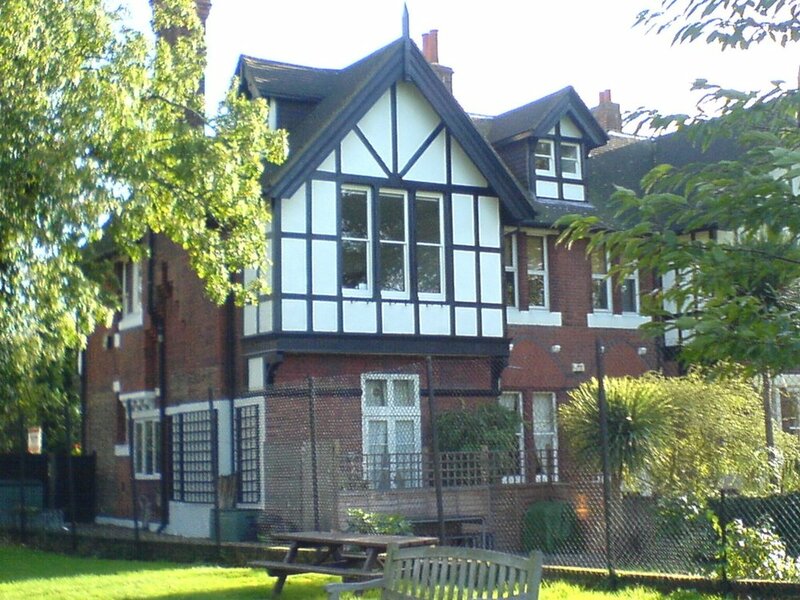 Marmalade Badger has managed many exterior restoration projects from large detached domestic houses to commercial hotels. We only use the highest quality ICI paints available, e.g. Dulux Weathershield. Once timbers and masonry have been made good or replaced, one can expect extended lifespans and guarantees from many paint suppliers. It is essential that old paints are removed if they are cracked or flaking. 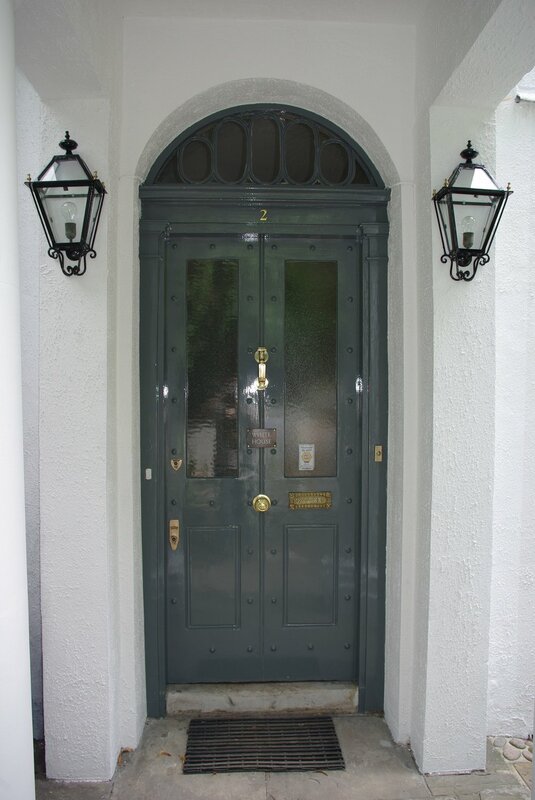 Old oil-based paints can easily be burnt off (using flame or heat gun) timbers such as sash windows, facia, doors, etc. Water-based paint strippers have improved and are useful at removing paints where wishing to avoid burn marks or where heat is ineffective. Varying grades of abrasive papers are used to remove old paints and in the preparation of making good fillers and timbers. Wire brushing is effective on metalworks such as railings. All surfaces have to be reconditioned or ‘made good’ before they are re-coated. Timbers are filled with two-part woodfillers and sanded smooth. Masonry surfaces (once stabilised) are filled with ‘Toupret TOUPRELITH F’ which can be sanded or wet sponge finished. Larger areas may require sand cement rendering. Before and after making good, all masonry surfaces must be stabilised. Stabilising solution is a penetrating solution formulated for application to surfaces of a highly porous or friable nature. It provides a substrate suitable for further decoration with water-borne paints. If timber surfaces cannot be made good due to rot and instability then they are replaced with suitable British Standard timbers. All new or bare timbers with knots most be treated with a solution. This prevents the natural resins in the wood from leaking out and spoiling the finish. Priming timber and metal surfaces is a preparatory coating before painting ensuring better adhesion of paint to the surface, increasing paint durability, and providing additional protection for the material being painted. These come in acrylic and oil-based solutions. 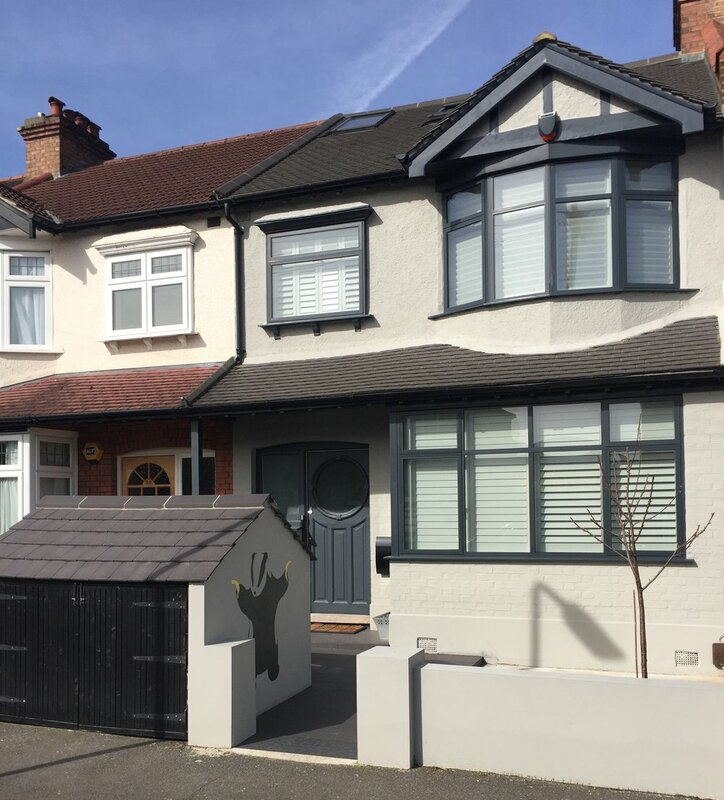 Dulux Weathershield Exterior Undercoat for timber is part 2 of the 3-step Weathershield Exterior Gloss system as it is specially formulated to resist cracking, providing the perfect key for the gloss topcoat. So, two coats of this flexible undercoat are applied to all timbers and then one gloss top coat. ‘Hammerite’ paints are used on most metals and generally do not require undercoating. Ideal for railings, etc. Self-Cleaning Masonry paints have been formulated using nanotechnology in order to give an extremely smooth and dirt-resisting finish. Two to three coats are required to give a good solid colour and protection. Glass in windows, doors, conservatories and skylights often needs replacing due to damage or because the style is outdated.